Great opportunity to acquire a spacious well maintained property in good location. 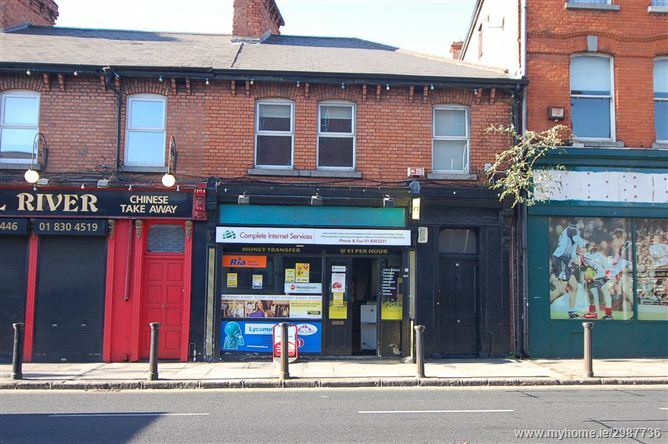 On busy thoroughfare with an excellent profile.Immediately adjacent to Doyles Corner.500 metres from Phibsboro S.C. and close to City centre. Retail shop.Open plan layout with storage and toilets. Situated just 50 metres on left before Doyles Corner coming from Constitution Hill.